Season 2, Episode 6 shows The Last Kingdom at its best - an episode that has the right mix of political intrigue, drama, humor, and action. Uthred returns to Winchester to attend King Alfred's daughter's wedding after an illicit visit to Danelaw. This action brings the conflict between Uthred and Alfred to a head, with the king believing Uthred harbors his own ambitions and questions whether the warrior should be a part of the mission to recapture Lundun (modern day London) from the Danes. A dramatic theme throughout the series is the testy relationship between Uthred and Alfred: the first season was about Uthred having to win Alfred's trust and Uthred became emotional support for him, as well as a military advisor. There is an obvious fear that this series could become repetitive rehashing this conflict: fortunately the writing by Stephen Butchard is strong, showing how this relationship between the two evolves. 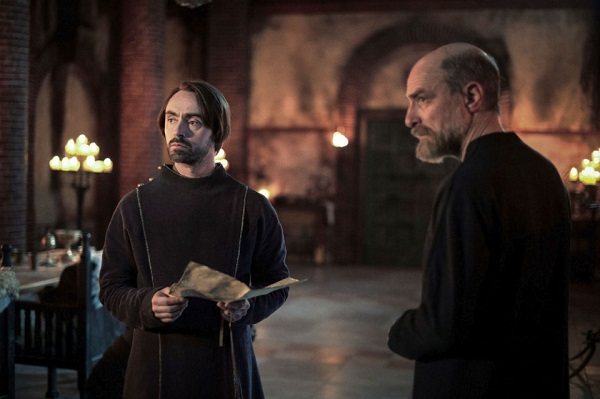 Both have internal conflicts - Uthred is a Saxon who was raised as a Dane preferring Paganism over Christianity and wants to reclaim his ancestral home, whilst Alfred sees the value in Uthred but also has to deal with Uthred's subordinates. Within Alfred's court, opinion on how to handle Uthred differs: Odda the Elder (Simon Kunz) is one of Uthred's greatest champions and Alfred's daughter Æthelflæd is found of the man whilst Alfred's wife and new son-in-law advocate punishment. Alfred's personal conflict is shown when he talks to his wife in their bedchamber about whether Uthred should be involved in the upcoming battle for Lundun. A great feature of Bernard Cornwell's novels emphasizes that there are good guys and bad guys on both sides of a conflict - that history is messy and rarely clear cut. There are likable and decent people on the Danish side and vile figures within the Saxons factions. Erik and Sigefrid, the Danes who conquered Lundun, have different personalities - Erik is the rational one, Sigefrid is violent, yet they are loyal to each other and they have a tender moment when Erik helps Sigefrid remove his prosthesis blade. 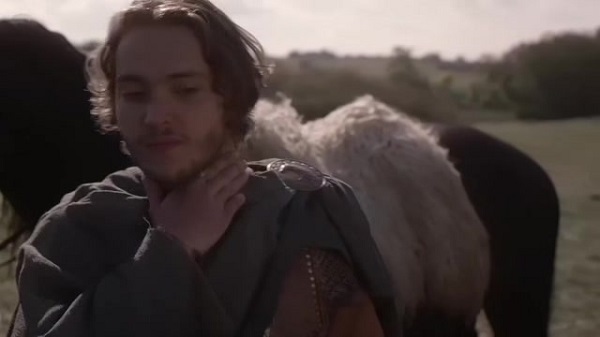 They also have some funny banter when they met Uthred, Lord Æthelred, and the Saxons. Although Erik and Sigefrid are well defined, Æthelred is a classic case of being one of Cornwell's cardboard characters. In the previous episode Uthred described Æthelred as a turd of a man and in Season 2, Episode 6, he gets to live up to that description. He is simply portrayed as an arrogant, ambitious young man who seems to offer alternative military advice just because it contradicts Uthred's. He is certainly not complex like a George R. R. Martin character. The most interesting aspect of Æthelred's character is his relationship with Æthelflæd: she is educated, intelligent and saw that her mother was one of her father's main advisors, yet with her new husband, just wants Æthelflæd to be seen and not heard. Æthelflæd changes from being strong, confident, and young, to being a scared shell of her former self due to her husband's abuse. She is even warned by a traumatized Thyra that it can get worst. The episode was strong at showing Lundun as a major settlement compared to the rest of England: places like Eorfowic (York), Dunholm (Durham) and Loidis (Leeds) look no bigger than small towns or castles. Lundun actually felt like a bustling town filled with people and it was a great piece of set-design to recreate an authentic looking 9th Century town. The episode has two major action set-pieces. Both are fairly short but well-executed. The first is a one-on-one fight between a Dane and a priest, who used to be a warrior, and are made to fight in the center of Lundun. The best moment comes at the end of the episode, with a three-minute long sequence following Thyra as the Danes attack a Saxon camp. The sequence was filmed as a continuous take, and due to the shows attention to detail and historical accuracy, it felt like being in the middle of a real attack as the Danes run rampant and Saxon warriors are slain. It's a great example to budding directors on how to do a shaky-cam, documentary style. 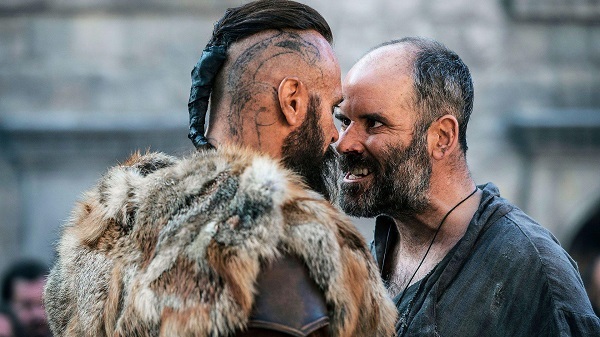 Season 2, Episode 6 is an episode that challenges its rivals like Game of Thrones and Vikings - being a huge production filled with political, military and personal drama. It can easily satisfy fans of the show and historical dramas in general.